These fellows had cut almost all the way through this tree. 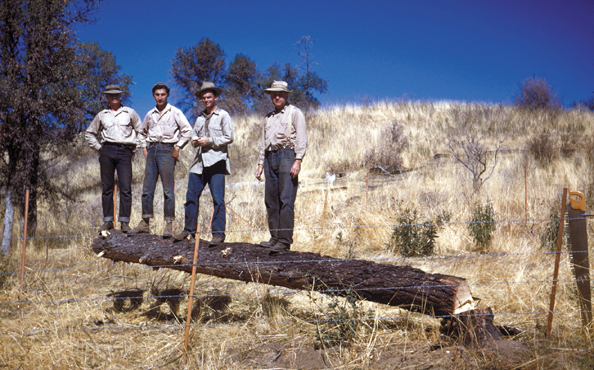 Even though only a small portion of a tree trunk was left connected, it could still hold up four men. After seeing this, it was no longer a mystery to me how a tree could withstand strong windswithout breaking.